Today’s millennials are addicted to the virtual world. Millennials are more familiar with the upcoming and current digital marketing trends where they learn technologies with their own understanding and knowledge. These days, marketeers focus more on grabbing more millennials and keep on exposing their brands virtually. So, it becomes very essential for marketeers to have millennial’s information base. 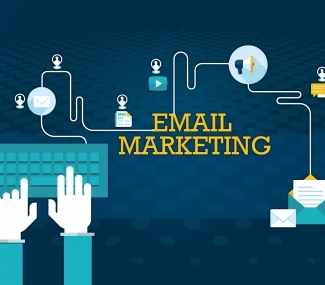 You might be conscious about booming email marketing trends that are more beneficial to acquire huge markets. You also need to uplift the market coverage ratio or else, your marketing strategy will go through a dark phase. It’s hard, but not impossible to get these millennials and it’s only possible through email marketing. If you wish to get more millennials in to your online stores, we have jotted down five best email marketing strategies that will guide you to reach millennials more effectively. Your millennials are grown up using smartphones and other device gadgets. They can identify your email sent to be as spam. To avoid such issues, segment your email list and clearly state your key parameters and target areas. The list segmentation is mainly based on demographics, buying behavior and demands of the audience. Once you have defined your key segments, it’ll be easy to market your leads more effectively by experiencing great returns as a good outcome. The creed and need for information, and engaging with the resourceful content has never been a satisfactory to the buying behavior and the thirst of having information. Instead of having adverse sales pitches, marketeers prefer doing more research of their own industry, to formulate right decisions, and value conversation. 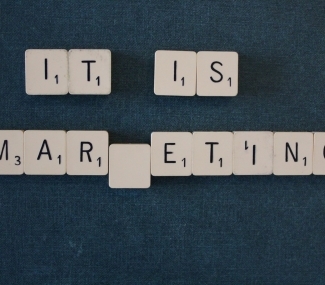 Are you sending your emails that are less relevant to your audience’s interest? If so, then surely you are on a wrong path. Make your email marketing campaign more relevant to millennials information that are more willing to get registered. They are least concerned for content privacy and spam filters. A lot of information is available to them on the web. To interact with millennials, there must be a good procedure where they are compelled to share or feed their information such as email address or phone numbers at the time when they are subscribing you. With an early engagement campaign, you can provide subscribers with the valuable information and enticing deals. Thus, if your emails are irrelevant or untimely, your special offers will be lost in the inbox-crowd, status updates, and tweets. Before connecting with your key prospects, ask them in which manner they will prefer to get contacted? Value the response given and communicate with them using that medium. The communication channels can be either emails, cell phones or any medium they prefer to have. In fact, you should encourage millennials to connect with you by using multi-channel communication platforms. This will allow you to collect more information regarding them and will guide you to interact with this “always connected” generation. Millennials are more attached with their mobile gadgets. With these mobile gadgets, they view emails, online feeds, websites and live updates. Make it simple and easy for those subscribers that are using smartphones. To make your audience more engaging, try to optimize your website by making it mobile-friendly for your targeted millennials. You can make use of well designed, enticing and chic email blast templates, including links that attract and keep them continuously engaged with your web content. Further, you can also include web pages or web links in mails or messages if, your website has been optimized for the mobile devices. Social media has been a great influence for youths. Many marketing companies have marked their virtual presence using social media as a key tool and have strengthened their marketing business. Social media has opened the doors for marketeers where they can grab more millennials. You can also apply this technique by making your fan page or business profile on social media sites and giving your audience a chance to connect, tweet, text messages and chat with you multiple times throughout a day. By this, you are allowing your millennials to share, post and comment on the content and gain reviews over a particular product or service you have already offered them. Don’t forget to mention your subscription link where you give them a chance to subscribe you. Using social media advertise your brand’s products and services and connect with a huge mass by marking your virtual presence. Thus, social media is the best way to reach millennials in a more efficient way. Sketch an outline of your email marketing strategies and implement them to reach more youths and millennials in an effective way. Millennials seek for a more trusted brand that serves them with relevant content and do keep in mind that your millennials have spent their lives blocking unwanted emails. You have a power to win their trust by engaging with them at regular intervals and take it further for future proposals. Learn more FrescoData teaches you the Role of Digital Multichannel Customer Communication. Fresco Data’s Email Marketing provides effective and profitable marketing solutions that give you access to millions of potential customers.